Last Day on Earth: Christmas Update! Chrismas Tree + Yule Log + Daily Presents + More! Survivors! 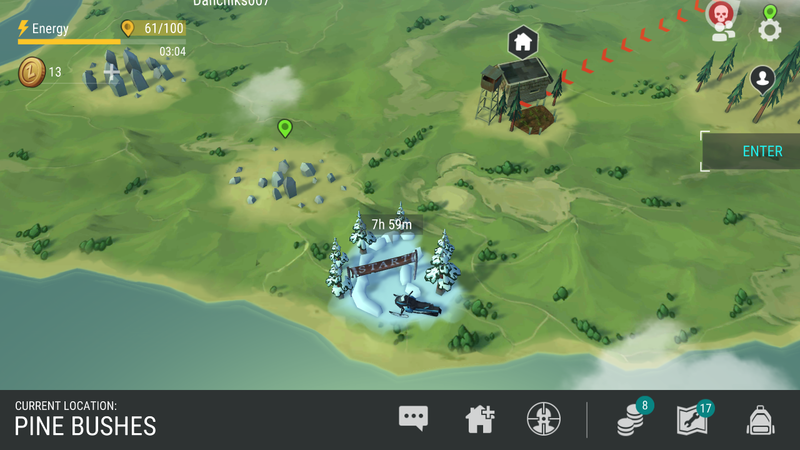 As of today, a new update is currently rolling out for Last Day on Earth for Android users (iOS users must be patient for a couple days) and yes, it’s the infamous Christmas update! According to the images Kefir! shared, it certainly seems that snow will cover some of the locations for the duration of the event! Important Note: You are NOT required to have unlocked the Radio Tower with a generator to have access to the event. The events take place over the original map and items required can be collected through the various locations available to any players (Forests and Quarries). With the Christmas, Kefir! clearly states that the center of the action will be with the Snowy Race Tracks. We are certainly excited about this as it should bring a very fun aspect to the Holiday season in the wastelands. Worried because you do not have a snowmobile or the chopper? Worry not! Everything is all set for you players to enjoy! So long as you are at least level 7, you are welcome to join the race! This part of the event will require players to win three races per day in order to open the Holiday Chest! Rewards for it remain unknown at the time of writing this article, but one should expect some Christmas related items. There will be a named Shaun at this location. Simply talk to him in order to kick things off. You can complete as many race as you wish! You’ll be happy to know that there is no clean-up required at this location, just go, talk to Shaun and enjoy! It isn’t clear whether players will be playing against other players, or if it will simply be against AIs. Our guess is that it will be against AIs as there hasn’t been really any interaction with other players (except through the radio and clans) so far in the game. Snowy Race Tracks will seemingly be appearing daily for a period of 8 hours, so make sure that you use it wisely! With this update, we will see the introduction of Santa Zombie. Rumor is that Santa Zombie has been scattering around locations Magic Boxes, so be on the look-out for those! However, Kefir! does indicate that this is not your typical Santa character. Magic Boxes can seemingly be good (like a puppy), or plain nasty (like a zombie)! Best not to open one without any weapon! An interesting addition to the Christmas Event is the introduction of the Christmas Tree. The recipe will be available to unlock and you will be able to craft the Tree in your base for presents every single day! We have no details as of right now as to what kind of items one should expect from the presents, but once again, we suspect some goodies as well as potentially some Christmas related items. What will you require in order to unlock the blueprint of your own Tree? What will you require to craft and decorate the actual Christmas Tree? The followings! Therefore, in case you were wondering, yes, you will need to do some hunting before you can actually craft and decorate your own Christmas Tree! How do you obtain items to decorate your tree? As for the Halloween event, these items will be obtainable as loot from Zombies in the various locations on the map. Finally, with this new update, we will also see the introduction of some festive zombies that certainly look like Santa’s assistants, Zombie Elves! These will be scattered around the map and will drop Christmas related items such as Christmas Tree Ornaments! 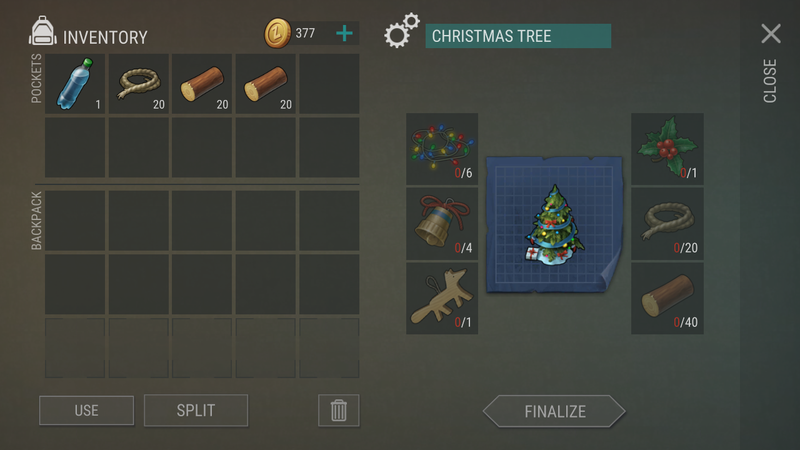 These can be used to decorate your tree at your base. Will they affect the items you get daily from your Christmas Tree? Time will tell, but it wouldn’t be surprising as this mechanic has been used during the Halloween event. Those Ornament may also be useful when interacting with Ralph, a big Christmas enthusiast! 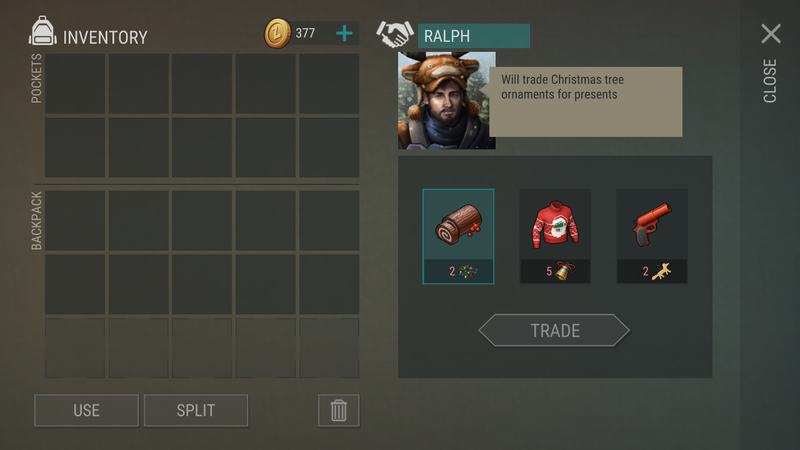 We hear that he wants to decorate his Christmas Tree as well, so trading with him can reward you with some Christmas themed clothes and Christmas food (Yule Log is back!)! Not interested in those? Well, if you’re lucky, you might just end up with some Flare Guns on top of that! Early reports indicate that sadly, this year, the Yule Log does not have any buff except that it heals you for an undetermined amount of health. Kefir! has certainly been doing an incredible job over the past months and this Christmas Event seems to more than enough to keep all of us entertained for the Holiday Season in the wasteland! What do you think of this update? As of right now, we do not know how long the event will last, but it’s safe to assume that it should run until at least Christmas (and perhaps New Year’s). We’ll keep you posted!